MINOT AIR FORCE BASE – Airman Caleb Hanley of Minot Air Force Base really hopes rhythm and blues singer Brandy will see his YouTube video asking her to be his date for the Air Force Ball at Minot Air Force Base next month. To get his invitation to the singer, Hanley, with the help of a couple of his friends, Senior Airman LauRen Washington and Airman Taylor Grier, both also at the Minot base, put together a video last week asking Brandy Norwood, known professionally as Brandy, to be his date for the event on Sept. 15. The YouTube video is posted on Facebook and other social media. In a portion of the video entitled, “Caleb Pops The Question,” Hanley explains a few things he and Brandy have in common including she write RB music and he loves RB music, and he’s outgoing and he likes to dance, with a brief segment showing him dancing. “If you went to the Air Force Ball with me, I’d feel like I’m sitting on top of the world,” Hanley also says in the video. “Like you said, ‘Never Say No.’ That’s why I’m inviting you to the Air Force Ball,” he also says. 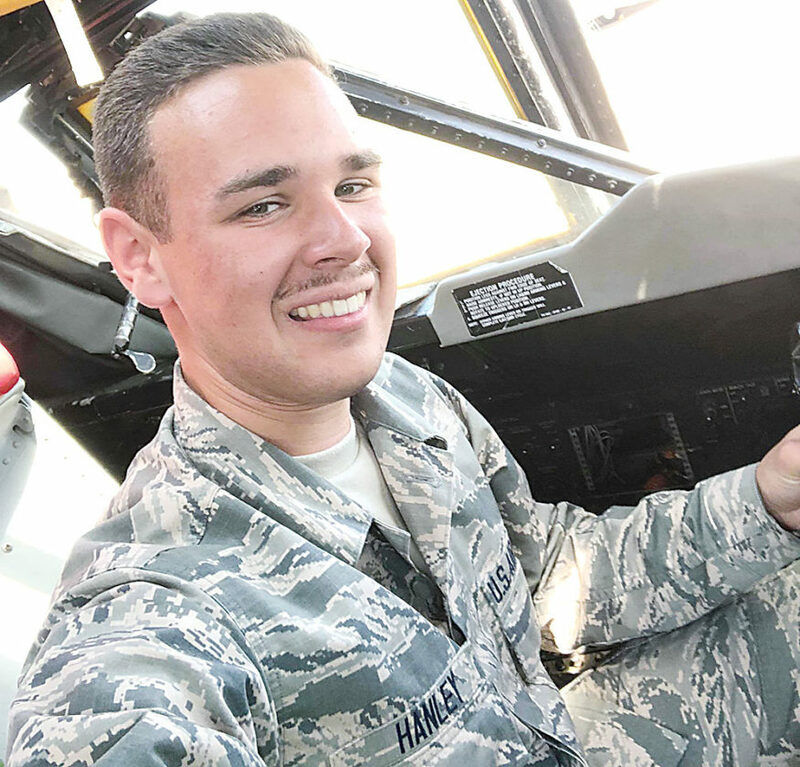 Hanley, who is from Lynchburg, Va., has been at Minot Air Force Base since May and is with the 5th Bomb Wing’s Aircraft Maintenance Squadron where he is a B-52 crew chief. As of Thursday morning, he had not received a response from Brandy to his video invitation but he’s still hoping he will receive one. Hanley said he already has the clothes to wear to the Air Force Ball. If he doesn’t get a date with Brandy, he said he still plans to go to the ball but by himself.